Before Day one of the website build can begin … design clients need to collect all of the pictures and graphics that they want to place on their website. This content includes all logo graphics, headshots for staff pictures and product shots as necessary. All of the words are collected for the “About Us” page, Services, Products, and other information pages you want on your website. The week won’t begin until all of this is accumulated and placed in a DropBox account. When it is all there … simply send an invitation to gary@simplygreatwebsites.com. We start by getting to know you and your business. We look at the content you have collected and make sure that no additional items are needed. We then discuss content, colors, functionality, menu structure and several more important design topics. Before we begin the design … we look at how you tell “your story” which determines the overall style of your website. This story is the “What makes you the best at what you do” commercial and the “How you help your clients” overview. Your designer determines the best way to tell your story online and then crafts several design examples during the day and gets your preliminary approval to build on one specific design. Throughout the day we go through a series of design phases. Before the day is done, revisions are finalized in the overall design, the menu and content placement is locked in and you approve the master design and sub-page design for your website. Once the Master design was approved at the ends of Day 2 … page creation, content placement and website production begins. Much of the heavy lifting was done on Days 1 and 2, but Day 3 is a pretty intense 18 hour day for your designer although it is pretty light until the end of the day. SO the morning call is usually only a few minutes while the end of the day call can be closer to 90 minutes long. This is the day where your designer is busy creating your website, configuring your email (if necessary), installing social media, implementing links for email marketing solutions and forms, and installing other scripts such as picture sliders, <iframe> video boxes, forms, and any galleries. Day 4 is a day of testing and tweaking content your site for accessibility, usability, and compatibility while editing to make the design looks and works Great. You will assist your designer in testing email marketing solutions, forms, and links throughout the day. 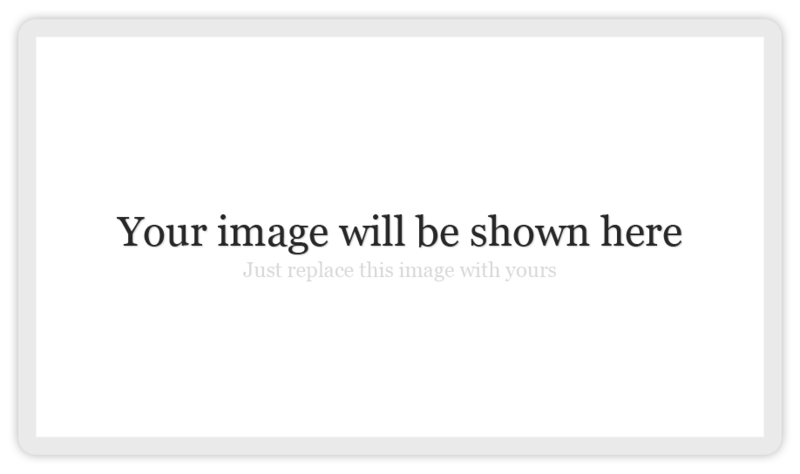 You will also be responsible for reading through all words loaded on a hidden version of your website and the placement of photos as your website takes shape. Congratulations! 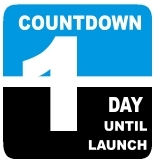 By the end of the day your site is LAUNCHED! Another happy client. During this day final tweaks are made and all functionality is re-tested. All Website in a Week websites are responsive sites and render beautifully on a variety of screen sizes and devices. 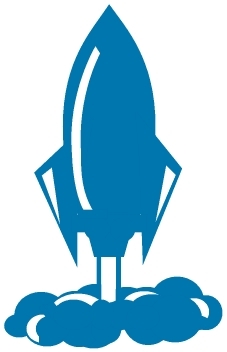 All of Website in a Week designs include on-site SEO setup and are built with SEO success in mind and on Day 5 you also get a tutorial on how to use your Content Management System (CMS) so you can make modifications and updates to words, pictures, and SEO tags on your own on LAUNCH plus 1. It’s been a long hard week for both you and your designer, but the results are amazing and it's always exciting to go from concept to a launched website in less than a week. 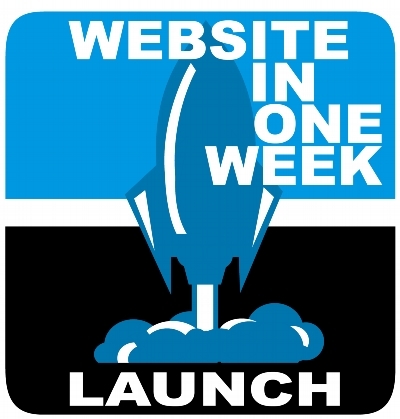 Often it takes a month or more to launch a new website, but honestly … it doesn't have to. 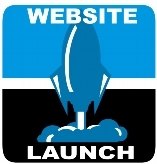 LAUNCH IN A WEEK is a process to create and launch a Simply Great website quickly! By eliminating typical delays that come from waiting for content and giving the project a laser like focus for one week … astounding results can happen. Whether you lack a website or are disappointed with your current untouchable website that’s neither mobile responsive, social, nor easy to update ... get ready to change all that! Typically website creation takes many months and by that time the passion to get online is pretty much gone. However with bursts of hard work and a unique process, you can have a Simply Great Mobile Responsive Website in less than one week while you are still excited about your website. By carefully planning out the design process in advance ... you could actually create an amazing website in less than 2 days, but life and business is non-stop and it virtually impossible for a small business owner to be gone for 2 entire days. So the WEBSITE IN A WEEK process was created. 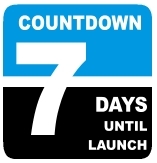 LAUNCH IN A WEEK is structured in such a way that you don’t need to be isolated from your business. After accumulating your words and graphics … all you need to commit to is 1 uninterrupted hour each morning (always from 7am to 8am) where you are at the computer and able to conference call with your designer ... and 1 uninterrupted hour each night (typically at 8pm) for the same. Tasks will need to be accomplished by you during the day, but you can still get work done. Just don't plan on attending a trade show or on vacation. The two hours of conference calls each day and short conversations in-between makes this an extremely communicative week, and the collaboration you will have with your designer during this week is often more than the average website designer has with a client throughout an average multi-month design project. Part of the magic that makes LAUNCH IN A WEEK work is the requirement that ALL materials used in the website design need to be accumulated before the week begins and placed in a DropBox account for review. 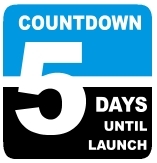 The Client Launch List is not hard to provide, but is often the cause of months of delays in standard website launches. After you've loaded your content in DropBox ... your week can be scheduled to begin. This week is best scheduled on a "light" work week as there are significant to-do lists each day in between phone conferences and easy communication between you and your designer during the day is vital to keep to the schedule. Also ... the week does not have to be a Monday through Friday week ... just 5 days where you are available. Whether you want a standard design timeline or want to participate in the LAUNCH IN A WEEK accelerated launch process … simply visit the PRICING page and commit a refundable 50% deposit below to get started on the package you want. 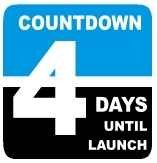 Launch In A Week is a Premium Service and is an option on all package website programs. It is available on a limited basis on custom websites as custom sites often need additonal time to get a higher number of pages or more advanced technology installed and tested properly. 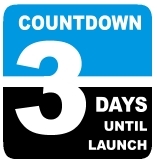 When your payment goes through you automatically receive a Getting Started package that walks you through everything you need to provide to make your Simply Great website a reality and Countodown Calendar choices available for upcoming Launch In A Week accelerated designs. If you need more information before getting started simply click CONTACT. 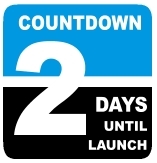 Launch in a Week accelerated development packages are only scheduled for 20 sites per year ... so make sure you get on the Countdown Calendar. "Because Every Company Deserves a Simply Great Website"